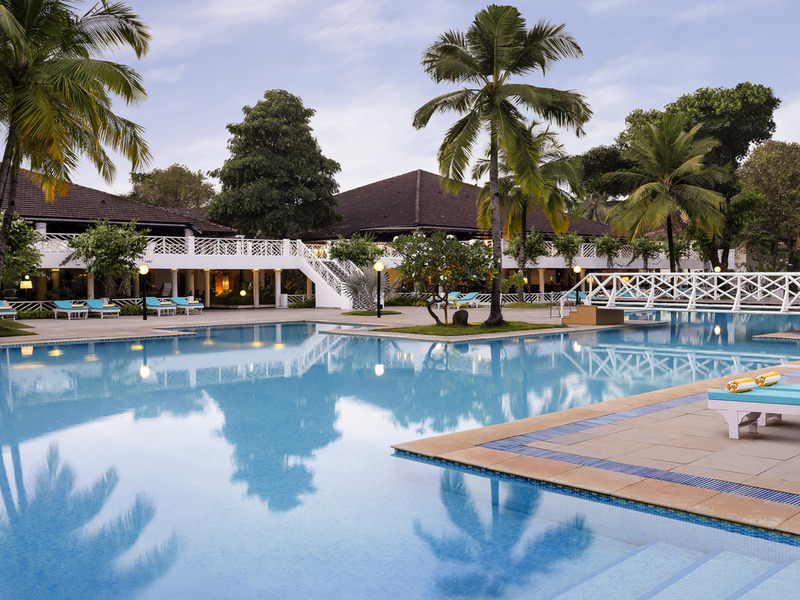 The hotel is located right on Cavelossim Beach in South Goa.The beautiful city of Goa is known for its numerous churches and beautiful coastline making it a perfect destination for honeymoons, Family vacations , short business trips and slowly the destination is picking up in terms of beach weddings & large corporate beachside events. Lovely hotel with relaxed atmosphere. This is the third time we have stayed at Novotel Dona Sylvia and we loved the refurbished rooms. Gardens are kept beautifully, rooms with comfy large bed and well lit bathroom and large walk in shower. Food excellent, cannot fault, staff always smiling and polite. Swimming pool is excellent, although area could do with more shade. A lot of effort has been made here and it has paid off. Advantage: Closer to beach Disadvantage: Poor service. All the 5 days during breakfast no one brought us the coffee. And the plates were not cleared everytime I have moved the used plates to nearest station. Water rarely served. Great family vacation at Novotel Dona Sylvia! Overall, wonderful experience at our stay in Novotel Dona Sylvia. We loved how your staff went out of their normal call of duty to make us feel as esteemed guests. Particularly liked how my wife's birthday was celebrated by all. Nice property with facilities around! Nice and relaxing but no air conditioning in the lobby and breakfast areas.. It was a cosy & Comfortable stay. Spacious room, very well maintained, Nice bed, spacious bathroom, Great swimming pool and access to the beach. I felt that weddings and conferences took priority over holiday makers. It appeared that weddings and conferences were more important to the hotel rather than existing guests. Rooms needed more attention with regards to cleaning. Food hygiene needs improvement. My stay was delightful - just what I needed. It was a great experience. Room are was perfect location. Food breakfast/lunch and dinner was excellent. Great variety of food to choose from and an ample supply. Very well kept and very clean amazing property. Very good location right on the beach. Good food, nice service, friendly staff. Nice swimming pool. Value for money place. Really enjoyed our four days stay here. Simply awesome,.. great food, super hospitality. It was a wonderful experience at Novotel... will recommend others for sure... Whenever back in Goa for sure Novotel would our preferred stay option. Thank you Novotel for this wonderful experience. The hotel and staff were very friendly and helpful. the main issues we had were the hotel is very popular and has lots of functions which bring in lots of people and when this happens its like a free for all in the dinning room where you could have a 100 people sitting down with 3 staff trying to serve drinks clear tables ect. people were asked to wait in reception a few times as their just wasn't enough space for them all. also when your trying to relax by the pool and a function is being held in the area behind you the noise was ridiculous. Lots of power cuts at least 4 a day they only last a few minutes and we were told this was because its India! we had friend s in the hotel beside us and they didn't have an issue with this. It was a family get together with lots of children and we thoroughly enjoyed the overall experience. Stayed for 4 nights at Novotel Dona Sylvia, Goa. Best part of stay was huge spacious property, Great food, extremely courteous and efficient staff, Beautiful Sea beach. Check in was fast and Mr Elton was very helpful, Rooms were clean, big bath area, enough accessories in room. Food is delicious. Swimming pool is large, clean and deep. Live music and lights at night makes good mood. Staff always around and ready to help anything with smile and efficient attitude.